Education is empowerment, and lighting the spark is all it takes to get it going. We live in a day and age where children that deserve to be educated wind up being deprived of it simply because they cannot afford to access a school. The dichotomy between free and public education on the one hand and private education on the other hand has often proved to be detrimental to the level playing field that development aims. 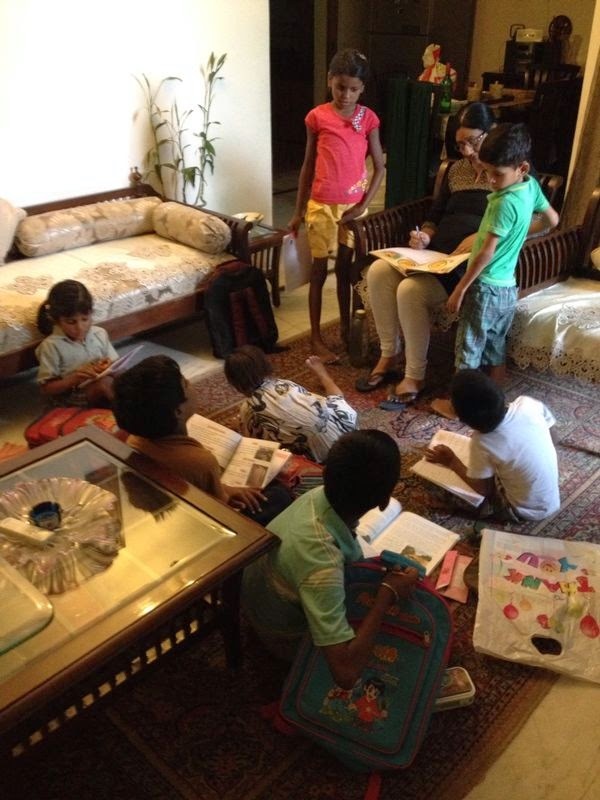 Attempting to bridge the gap, Ritu Abbhi is a change maker who helps bring education to children in need through her untiring efforts from her house in Noida. How did your little home-school start off? What inspired you? I have always been inclined towards social work and helping those in need. I have been doing it wherever I stayed: whether it was in the North-Eastern part of the country or in the nation’s capital, Delhi. I am associated with the Social and Development Research and Action Group (SADRAG), an NGO and also a member of the eminent Lioness Club. We regularly go to villages for our projects, where we work with people. While on these projects, I thought that I should start something for the village children who lived around where I live. I talked to a few maids and taught them about basic cleanliness, literacy, banking and other stuff that can help make them self-sufficient. I showed my eagerness to teach their children who aren’t otherwise able to afford to go to school or take tuitions. The response was overwhelming – and from the very next day, children started pouring into my living room. I’ve bought books, stationery, registers and other supplies for them to use. What kinds of children attend this school? Do you select them, or is it open for anyone to attend? There are no specific conditions for children to join this little “school”. It is open to everyone aged from 5 to 14. The only point I stress upon is that the child should be from a background where his or her parents are unable to spend for their education. Some of the students do go to school but they can’t learn at home since the parents or guardians are illiterate and do not have time to attend to their children’s needs. 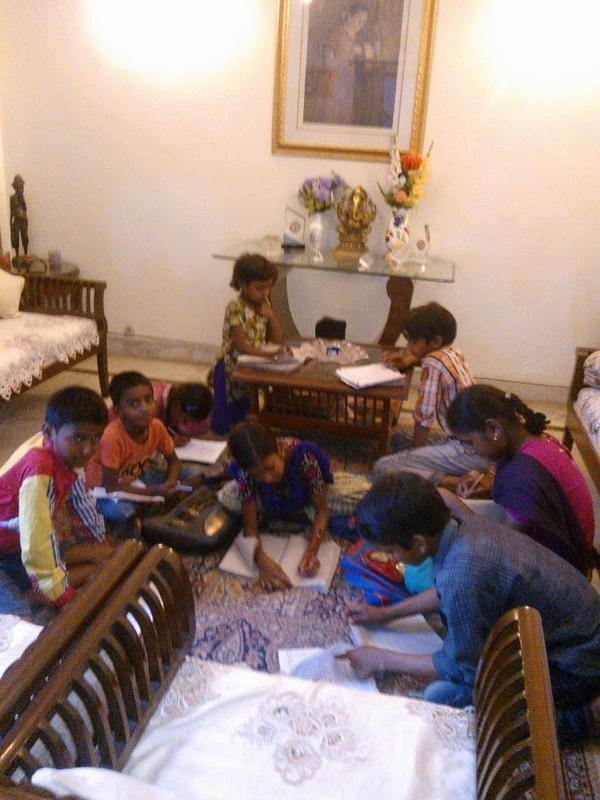 I help these children with their homework given at whichever school they go to, and prepare them for their exams. Some of the children do not go to school at all – and for them, I teach everything from scratch. Along with the regular educational curriculum, I teach the children how to remain clean and healthy. Can you tell us a little about your routine with the children? What subjects do you teach them? I call these children in the afternoon so they can come back from their schools and have their lunch at home. I then ask them about their preferences and needs – and specifically dive in to help them accordingly. 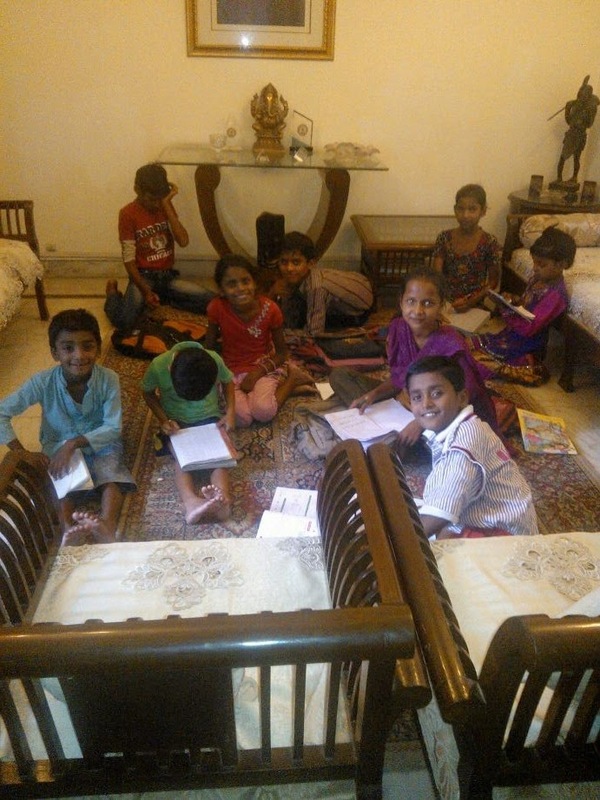 In order to keep their interest alive in their studies, I encourage them to play indoor games, take to doing a couple of paintings or even pastel colour drawings, get them to sing songs, recite poetry and also do a little show-and-tell where they can display their skills by presenting it to the group. I teach them all subjects being taught at schools according to the level they are each exposed to, which includes maths, language, science and social studies. Could you share something about the children themselves? The children coming to study are mostly from identical backgrounds: they come from economically disadvantaged and working classes. I have noticed that they are quite keen to learn - they need not be reminded to come for class, and I always find them present either on time or before time. Some students are very intelligent and just need guidance to shape their futures. As a social worker, do you feel that we can ever come to a state where children will have access to the right kind of education that they deserve? Being involved in the social sector, I always feel that there is certainly an extra bit which can be done by our society: not only in helping these children in pursuing their studies but also in all other aspects which are going to determine their future. Education is the basic thing one gets and in most such cases right kind of education is not available for them to access. This has a series of consequences – mostly shortcomings – as they are forced to be confined to unfriendly and hostile environments that don’t help them evolve. What are your plans for your school? Would you like to expand? How can we help? Considering the experience I have in the social field and also the fact that I have stayed at different places in and outside India, I feel that a lot can be done for children from economically disadvantaged families. Since I do most of the things of my own and it was my initiative to start this project, I do not have any thought-out plans for my little school, and I do not have enough space to expand it currently. I do want to keep this alive though: and any help that comes my way to help the children, particularly those that have the ambition and zeal to learn and move forward, is always welcome!